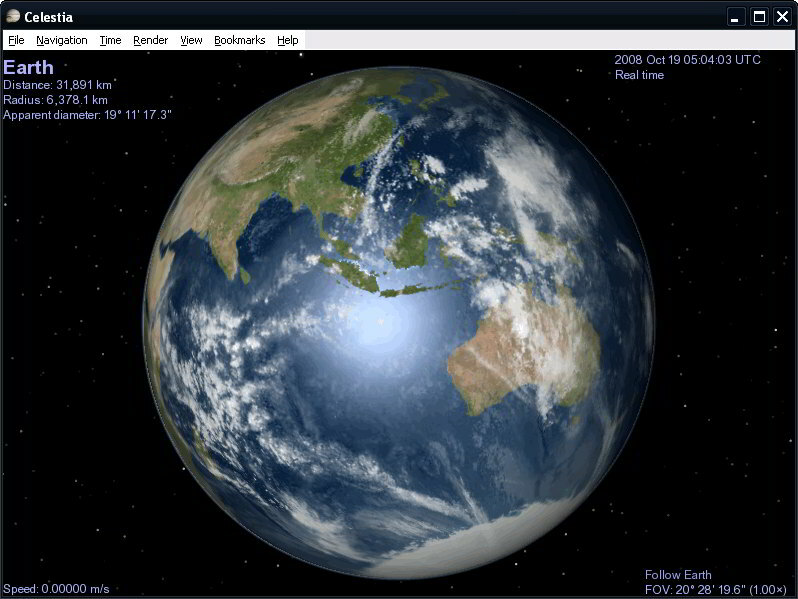 Stellarium is a planetarium for your computer. It shows a realistic sky in 3D like what you see with the naked eye, binoculars, or a telescope, with realistic atmosphere, sunrise and sunset. It features over 120,000 stars from the Hipparcos catalog with associated information. 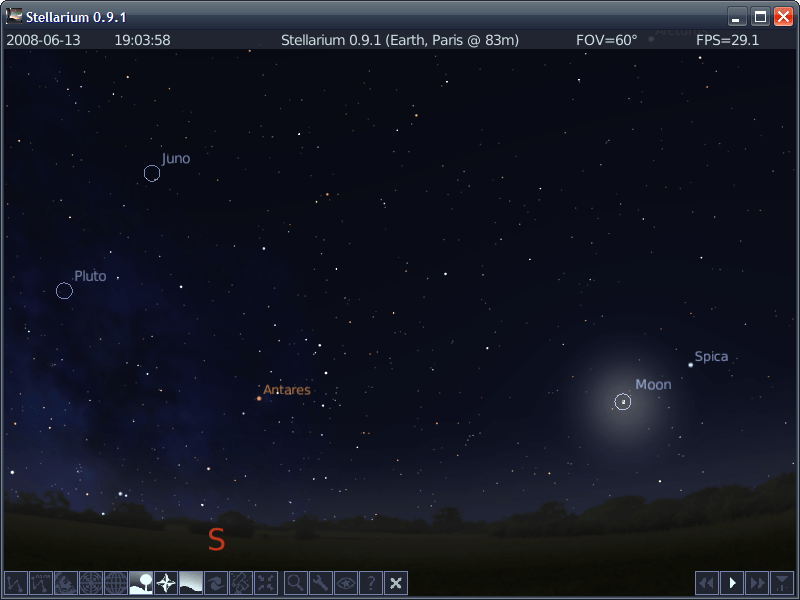 Stellarium Portable is a portable version of the program. Alternatively, X-Stellarium is also available. How to extract: Download the self-extracting EXE and extract to a folder of your choice. Launch StellariumPortable.exe. @Midas: No harm done. Thanks for the alert to PA's timely update. Solar System Information displays detailed information about the planets and their moons in our solar system. The images are all from real photos. You can use your mouse to manipulate the planet and rotate it in any direction. How to extract: Download the ZIP package and extract to a folder of your choice. Launch SolarInfo.exe. WARNING : note the .za country code in this URL. I visited the site on 7th June 2007 and noted other programs on the same page to download from the author...one of them was pre-loaded with a TROJAN and was immediately squashed by my avast! anti-virus (free). I did not go back for more. All his programs date back to 2002 and have not been updated. Avoid.